Simon Bailey is currently starring as Raoul in the tour of The Phantom Of The Opera and he is about to release his debut solo album Looking Up on Monday 17th December. Simon was a member of the group Teatro and his West End musical theatre credits include Romeo and Juliet, Joseph, Les Miserables, Passion and We Will Rock You. He also appeared in Parade at the Southwark Playhouse for which he was nominated in the 2011 Broadway World Awards in the Best Featured Actor in a Musical category. 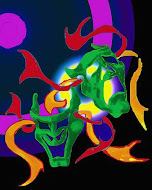 His 12 track album is a personal selection of songs including material by Luther Vandross, Dolly Parton, Eric Clapton: musical theatre including Jason Robert Brown, Scott Alan and four original self-penned songs with new arrangements by Tom Deering. It also features duets with West End stars Sabrina Aloueche (We Will Rock You), Katie Hall (Phantom Of The Opera) and Ramin Karimloo (Love Never Dies and Les Miserables). 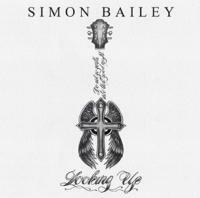 Looking Up is Produced by Simon Greiff for SimG Records, and is available direct from www.SimGProductions.com and www.SimonBaileyOnline.com All pre-orders will be signed by Simon and posted out ahead of the official release date.